You are the current highest bidder! To be sure to win, log in for the live auction broadcast on 11 Aug 2017 10:00 BST or increase your max bid. 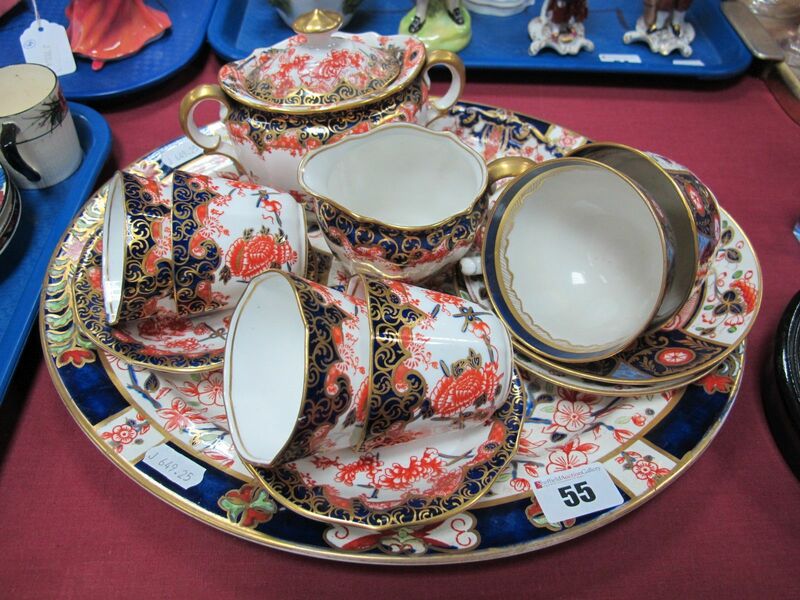 A Royal Crown Derby Imari Part China Coffee Service, comprising four cups and saucers, milk and sucrier, date coded for 1899, a pair of Crown Staffordshire Imari cups and saucers and an Imari oval plate.